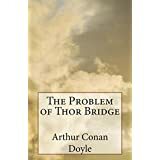 About the Book: "The Problem of Thor Bridge" is a Sherlock Holmes murder mystery by Arthur Conan Doyle in The Case-Book of Sherlock Holmes, first published in 1922 from Strand Magazine. 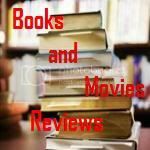 My Review: In this story, Neil Gibson, the Gold King and former Senator for "some Western state", approaches Holmes to investigate the murder of his wife Maria in order to clear his children's governess, Grace Dunbar, of the crime. It soon emerges that Mr. Gibson's marriage had been unhappy and he treated his wife very badly. He had fallen in love with her when he met her in Brazil, but soon realised they had nothing in common. He became attracted to Miss Dunbar; since he could not marry her, he had attempted to please her in other ways, such as trying to help people less fortunate than himself. Maria Gibson was found lying in a pool of blood on Thor Bridge with a bullet through the head and note from the governess, agreeing to a meeting at that location, in her hand. A recently discharged revolver with one shot fired is found in Miss Dunbar's wardrobe. Holmes agrees to look at the situation in spite of the damning evidence. From the outset, Holmes observes some rather odd things about the case. How could Miss Dunbar so coolly and rationally have planned and carried out the murder and then carelessly tossed the murder weapon into her wardrobe? What was the strange chip on the underside of the bridge's stone balustrade? Why was Mrs. Gibson clutching the note from Miss Dunbar when she died? If the murder weapon was one of a matched pair of pistols, why couldn't the other one be found in Mr. Gibson's collection? 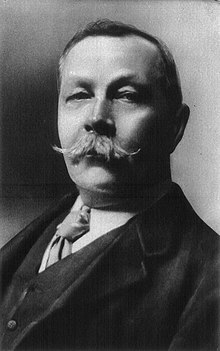 Holmes uses his powers of deduction to solve the crime, and demonstrates, using Watson's revolver, how it was perpetrated: Mrs Gibson, outraged and jealous of Miss Dunbar's relationship with her husband, resolved to end her own life and frame her rival for the crime. After arranging a meeting with Miss Dunbar, requesting her to leave her response in a note, Mrs Gibson tied a rock on a piece of string to the end of a revolver, and shot herself, the rock pulling the revolver over the side of the bridge; the revolver found in Miss Dunbar's wardrobe was the other pistol of the pair, which had been fired off in the woods earlier, and the chip in the bridge was caused by the pistol hitting the stonework as it was pulled off by the rock. Holmes's reconstruction using Watson's revolver reproduces the damage to the balustrade of the bridge. He asks the police to drag the lake for the revolvers of Watson and Gibson. Excellent plot, I recommend this book to all readers that appreciate a well written mystery short story.